Will Folgers treat dads to some conversation? The best part of wakin’ up may be Folgers in your cup, but it’s clearly not the best part when you discover that among the mere 80 Twitter accounts that Folgers follows, only 14 of them appear to be guys/dads. The far majority are moms, which leaves us wondering: why? 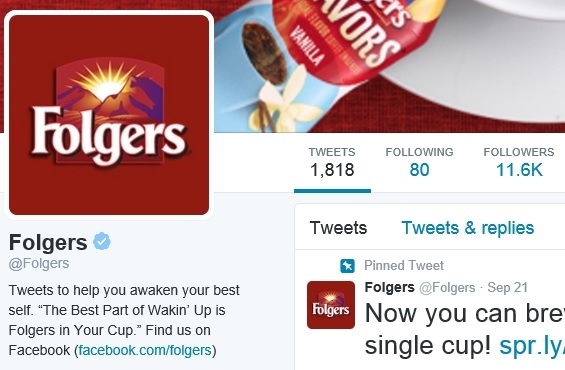 With over 11,000 followers of its own, it’s a strange enough sight to see Folgers following a meagre 80. That’s the kind of behavior you see among the celebrity types, such as Conan O’Brien, who famously began following one single person – a stranger, no less – back in 2010. However, coffee is a consumer-driven product which depends on a customer base among an ultra-competitive mix of brand name coffee makers, not to mention modest rivalries among a share of regional favorites, too. What’s more, coffee isn’t exactly a mom-only thing. Like one of the accounts that Folgers follows, Jif mistakenly believes that only mom handles the shopping. Do birds of a feather flock together? Let’s hope not. What do you say, Folgers? 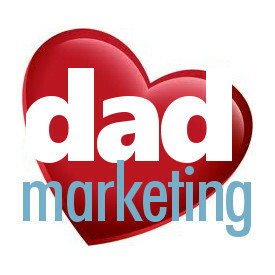 Are you up for learning more about your true representative customer base? How about listening to some of the words some dads have to say? After all, it took a few dads to form the company Folgers has become today. We’ll be watching.